50 ml bottle. 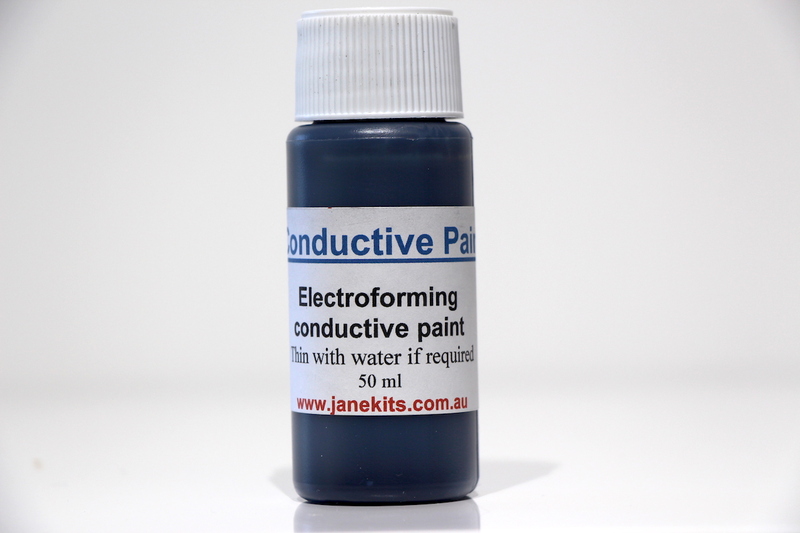 Conductive paint is a water-based graphite carbon conductive paint used for Electroforming. 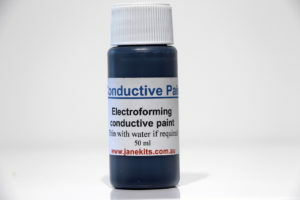 Once applied, this conductive paint enables you to make non-conductive items – conductive so they can be copper electroplated. 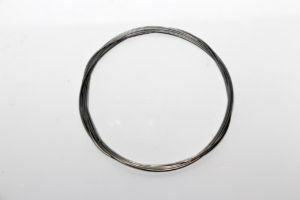 Items such as leaves, flowers, polystyrene, fabric, ceramics, jewelry, stones, cardboard, plastic, rubber, leather etc. can be successfully painted with conductive paint and then coated with Jane Kits Copper Electroplating coatings. 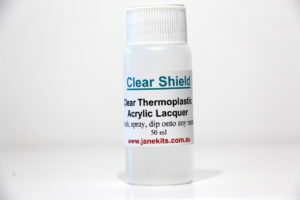 NOTE: All items will require a coat of our clear water-based “ELECTRO SEALER” to fill surfaces prior to applying conductive paint. 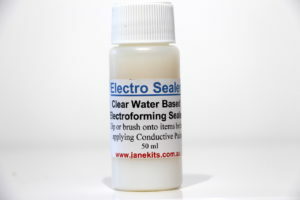 You can find “ELECTRO SEALER” in the “PLATING SUPPLIES” Category on our HOME page. 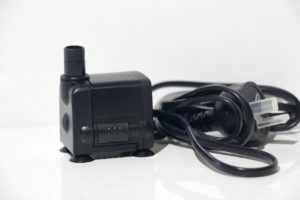 Conductive paint can be thinned with distilled water and brushed, rolled or sprayed (using a suitable airless spray applicator). Drying time depends on thickness applied. Applying two coats may be necessary. 24 hours drying time should be allowed after the final coat of conductive paint, prior to Jane Kits Copper Electroplating.